The FDA will evaluate a drug produced by a genetically modified animal for the first time today. 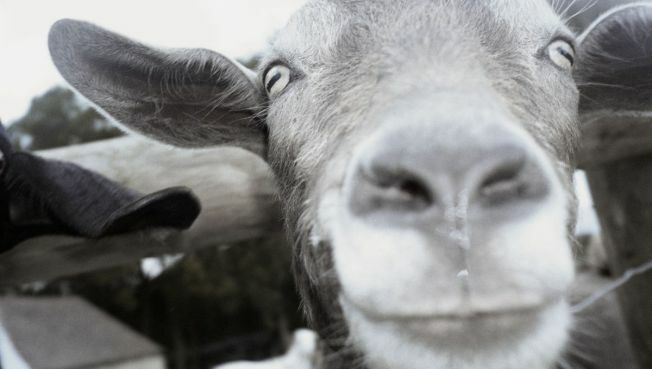 The drug is produced by genetically modified goats. Two rival gangs are threatening to battle for turf in Tokyo after the recession diminished the earning power of their business interests -- like property and construction. The FDA will evaluate a drug produced by a genetically modified animal for the first time today. The drug is produced by genetically modified goats, and, if approved, it could pave the way for cheap medicine that treat rare conditions. A Russian oligarchy wants to buy the Evening Standard. Great minds think like this. A linguist who holds the European record for reciting the first 22,514 decimal points of Pi explains how to improve cognitive performance. Roland Burris has the words "Trail Blazer" etched into his tombstone along with his positions held and a second stone listing "Other Major Accomplishments." What does this -- creating your own memorial while still living -- say about the man who will likely fill Obama's vacant Senate seat? The Palm is making a come-back. The company's sleek new smart-phone -- the Pre -- has a touch-screen, a new operating system and allows for efficient multitasking.